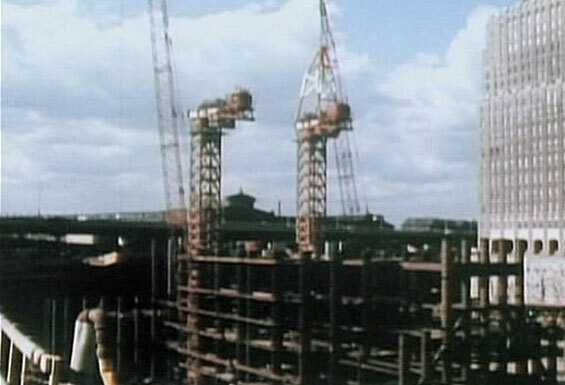 The original World Trade Center was designed by Minoru Yamasaki in the early 1960s using a tube-frame structural design for the twin 110-story towers. In gaining approval for the project, the Port Authority of New York and New Jersey agreed to take over the Hudson & Manhattan Railroad which became the Port Authority Trans-Hudson. 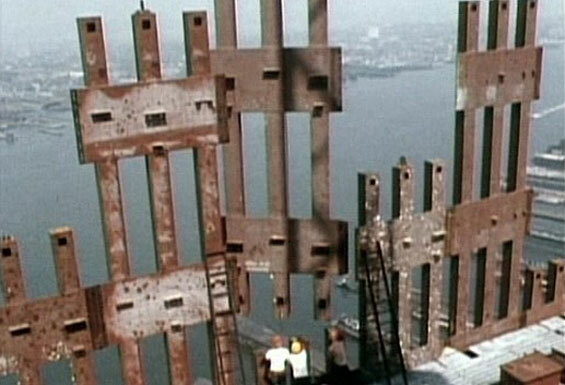 Groundbreaking for the World Trade Center took place on August 5, 1966. 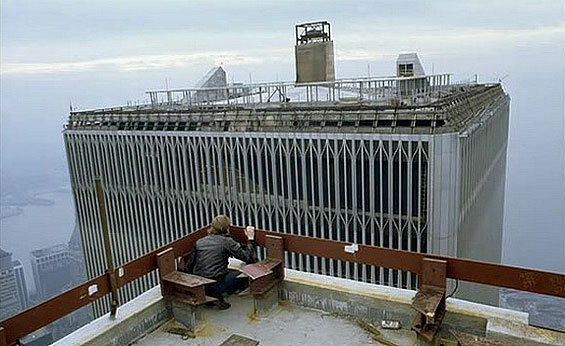 The North Tower was completed in December 1970 and the South Tower was finished in July 1971. 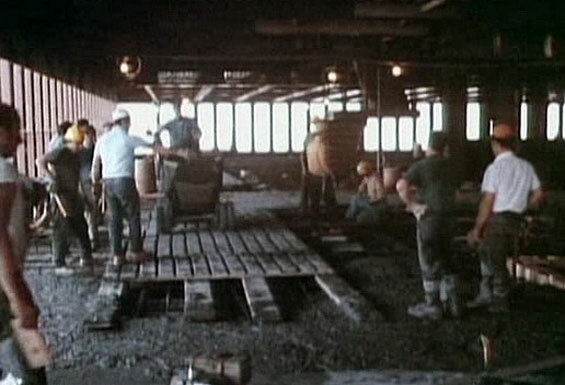 Construction of the World Trade Center involved excavating a large amount of material which was used in making Battery Park City on the west side of Lower Manhattan. 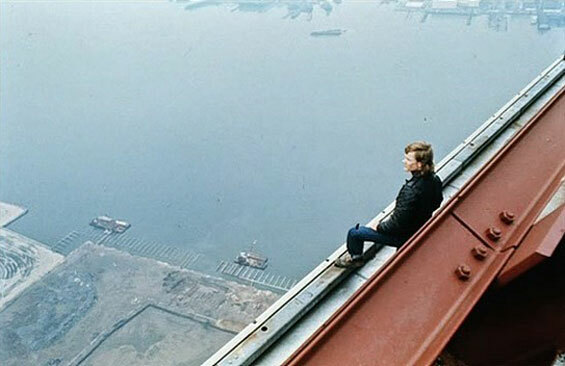 The complex was located in the heart of New York City's downtown financial district and contained 13.4 million square feet (1.24 million m2) of office space. 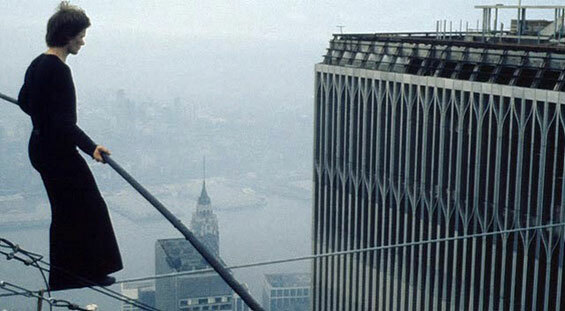 The Windows on the World restaurant was located on the 106th and 107th floors of the North Tower, while the Top of the World observation deck was located on the 107th floor of the South Tower. 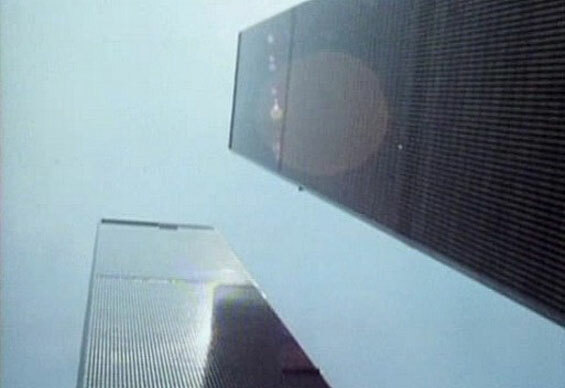 Other World Trade Center buildings included the Marriott World Trade Center; 4 World Trade Center; 5 World Trade Center; 6 World Trade Center, which housed the United States Customs; and 7 World Trade Center, which was built in 1985. 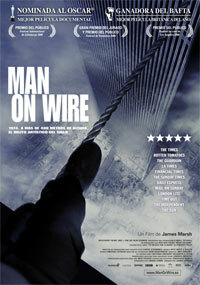 The World Trade Center experienced a fire on February 13, 1975 and a bombing on February 26, 1993. 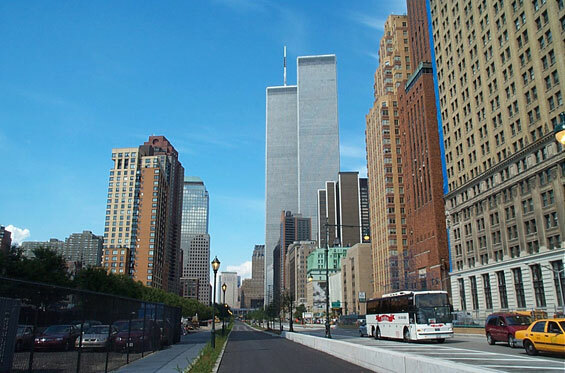 In 1998, the Port Authority decided to privatize the World Trade Center, leasing the buildings to a private company to manage, and awarded the lease to Silverstein Properties in July 2001. On the morning of September 11, 2001, Al-Qaeda-affiliated hijackers flew two 767 jets into the complex, one into each tower, in a coordinated suicide attack. 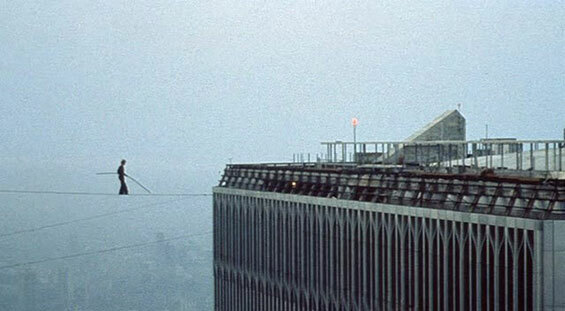 After burning for 56 minutes, the South Tower collapsed, followed a half-hour later by the North Tower, with the attacks on the World Trade Center resulting in 2,750 deaths. 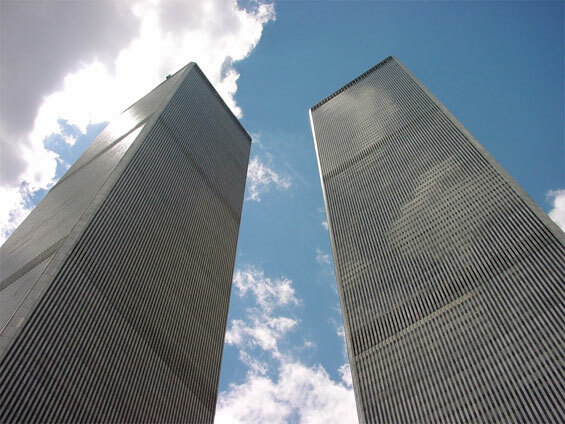 7 World Trade Center collapsed later in the day and the other buildings, although they did not collapse, had to be demolished because they were damaged beyond repair. 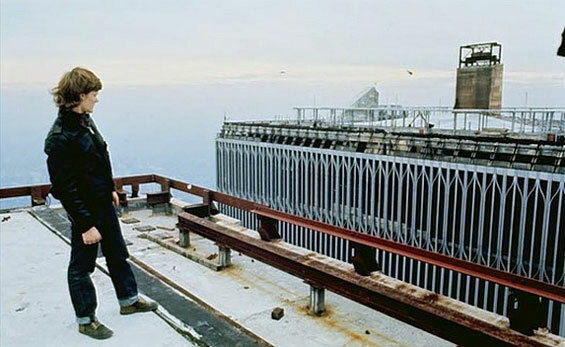 The process of cleanup and recovery at the World Trade Center site took eight months. 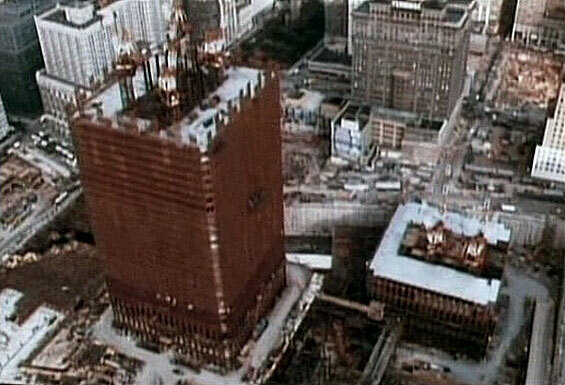 The first new building at the site was 7 World Trade Center which opened in May 2006. 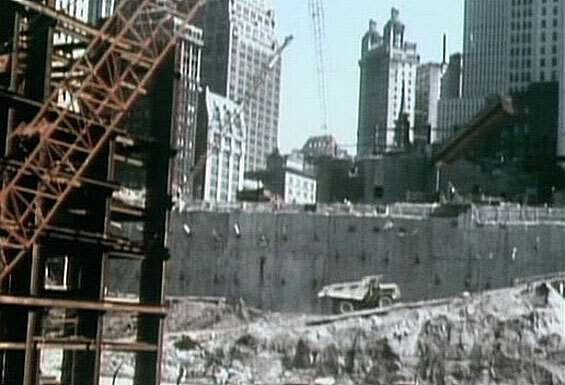 The Lower Manhattan Development Corporation (LMDC), established in November 2001 to oversee the rebuilding process, organized competitions to select a site plan and memorial design. 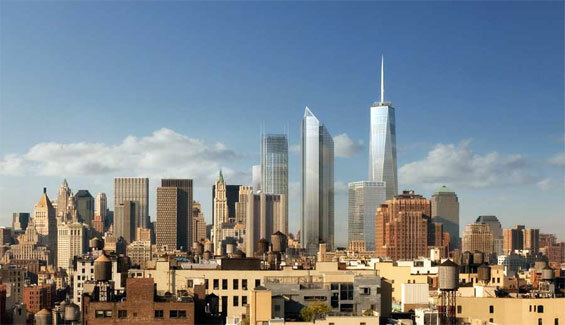 Memory Foundations, designed by Daniel Libeskind, was selected as the master plan, which included the 1,776-foot (541 m) 1 World Trade Center, three office towers along Church Street and a memorial designed by Michael Arad.